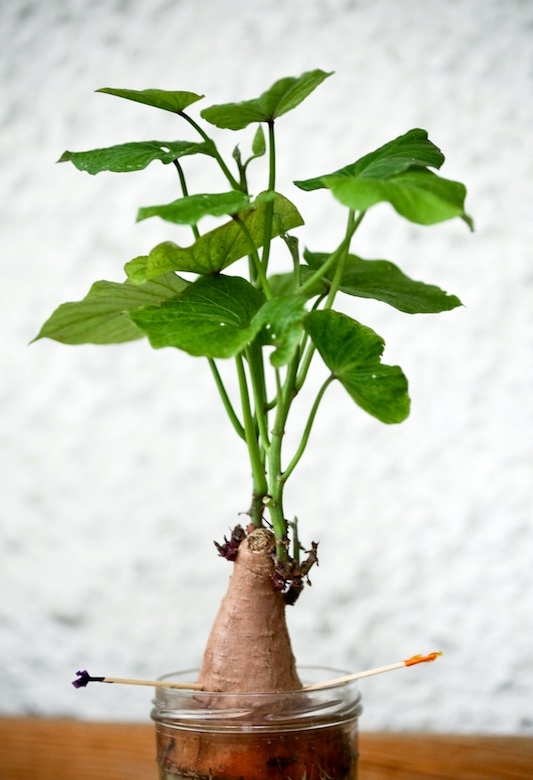 Groping around for an appropriate photo to send, all I could find is this photo of a Japanese sweet potato. Last spring, I planted an ordinary sweet potato in my window garden because I’d heard the vine would make a lovely houseplant. And it did. But last week, when the leaves began to look a bit spent, I uprooted it to find it had grown a pair. Never underestimate an old sweet potato. Plants, food, phallicity, all in one package. Its large, starchy, sweet-tasting, tuberous roots are a root vegetable. The young leaves and shoots are sometimes eaten as greens. Ipomoea batatas is native to the tropical regions in America. Of the approximately 50 genera and more than 1,000 species of Convolvulaceae, I. batatas is the only crop plant of major importance — some others are used locally, but many are poisonous. 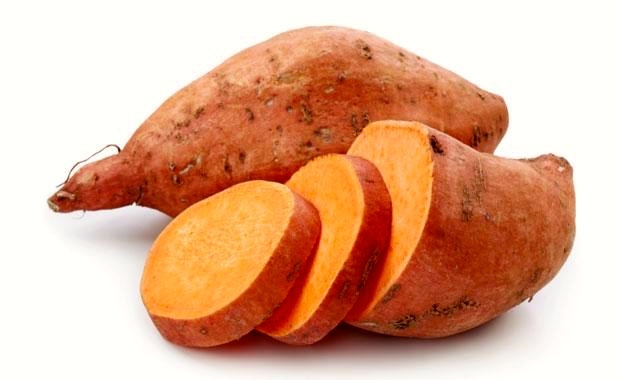 The sweet potato is only distantly related to the potato (Solanum tuberosum) and does not belong to the nightshade family. 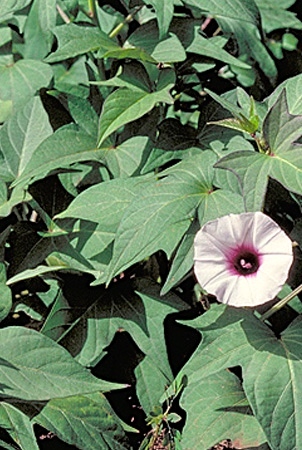 On the sweet potato’s cousin, bindweed (an invasive weed with hybrid cultivars that are more tractable, like the blue rock bindweed): I posted about it here, with a mention of Ipomoea, morning glories, and the plant family Convolvulaceae to which they belong. Convolvulaceae, known commonly as the bindweed or morning glory family, is a family of about 60 genera and more than 1,650 species of mostly herbaceous vines, but also trees, shrubs and herbs. This entry was posted on September 7, 2015 at 6:51 am and is filed under Language and food, Language and plants, Phallicity. You can follow any responses to this entry through the RSS 2.0 feed. You can leave a response, or trackback from your own site.